Adopt-A-Class to help children and youth connect with urban nature! 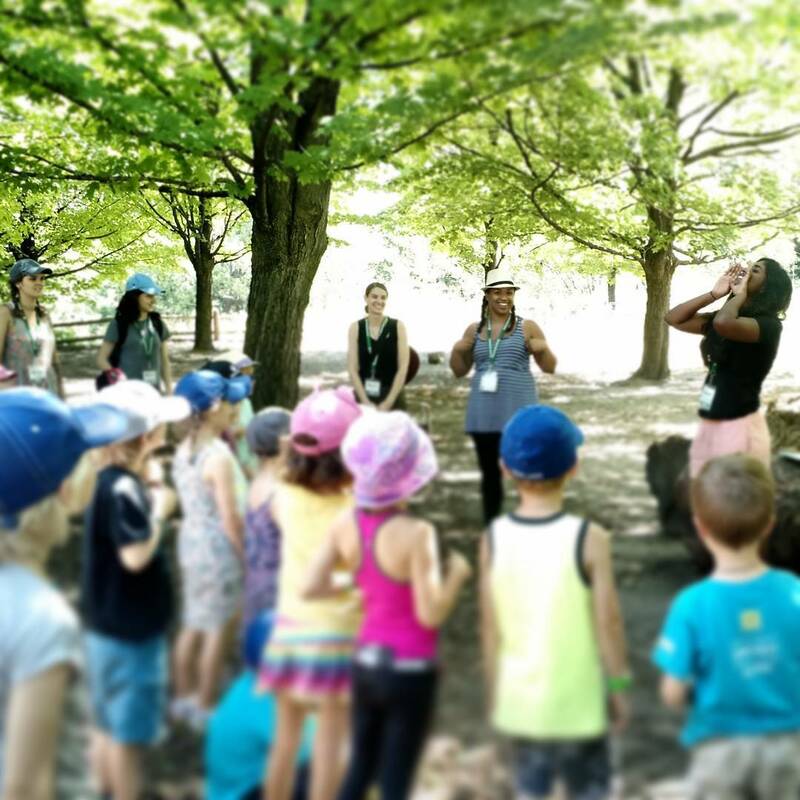 The High Park Nature Centre’s Adopt-A-Class program brings children and youth from schools and groups in Toronto’s underserved, high priority neighbourhoods to High Park to participate in a curriculum-linked outdoor program at no cost. Your donation will enable one class or youth group in need to exercise their minds and bodies while connecting with nearby plants, trees, animals, birds and bugs and lending a hand to help preserve one of Toronto’s most significant and fragile natural areas through stewardship activities. For $500, you can adopt one class in need of support and provide them with a field trip experience at the Nature Centre. Your sponsorship covers the cost of program delivery, led by two experienced nature interpreters as well as a subsidy for transportation to the Centre. For $1500, you can adopt a class in need of support and provide them with the opportunity to participate in the Centre’s “High Park Through the Seasons” program. This three-visit package allows students to experience the beauty and diversity of High Park throughout the seasons – from autumn leaves and acorns to crisp snow and animal tracks to spring migration and woodland wildflowers. Students will gain an in-depth understanding of the unique ecology of the park and the importance of protecting and restoring it. Your sponsorship covers the cost of program delivery, led by two experienced nature interpreters as well as a subsidy for transportation to the Centre. Your support will be gratefully acknowledged with public announcements through city-wide media and on the Nature Centre’s website and social media tools. Your donation will also be recognized on all Adopt-A-Class program brochures, posters and reports as well as in our annual report. To sponsor a class through the Adopt-A-Class program, please contact Sara Street, Executive Director, at 416-392-1748 or via email at sara.street(at)highpark.org.